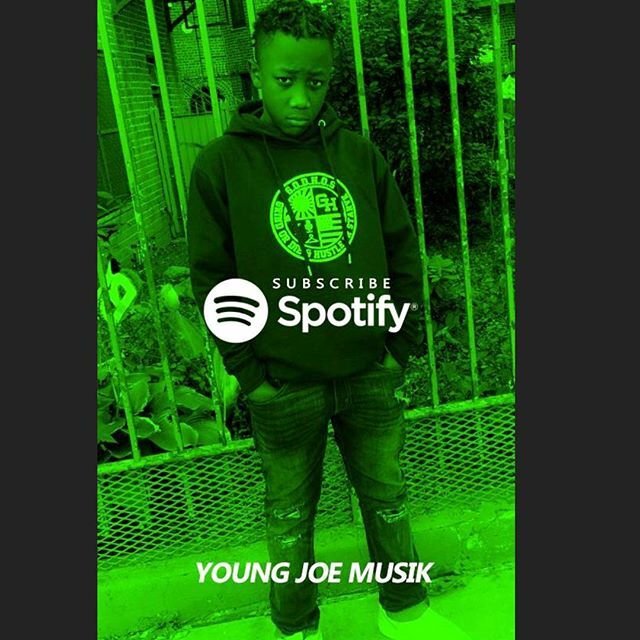 Joseph G AKA Young Joe Musik is a 12 years old of Honduran descent. He was born July 13 2006, in the Bronx New York, in Our Lady Of Mercy Hospital. He is currently in the 7th grade. He loves boxing; that's one of his hobby. His passion has been music since he was 10. His influence in music are Drake, J Cole, and his Uncle Haze. He released his first single Way Too Fly on ITunes and other Major Music Digital Platforms October 31st 2018. Follow his musical journey.